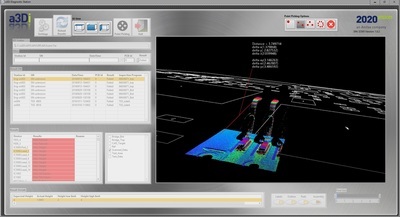 Successful inspection performance improvement can only be achieved by having the right analysis tools available when you need them. 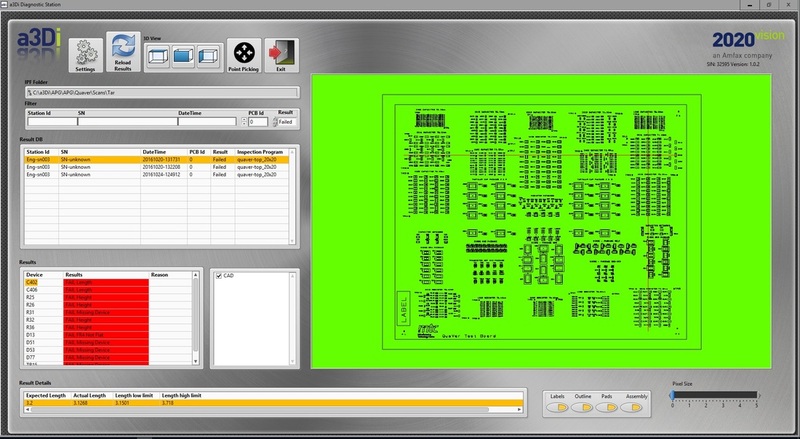 Time is of the essence when fault finding your failed PCBAs. 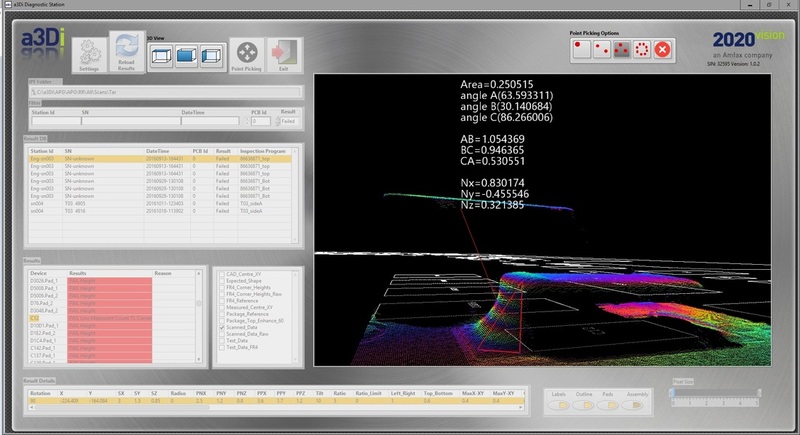 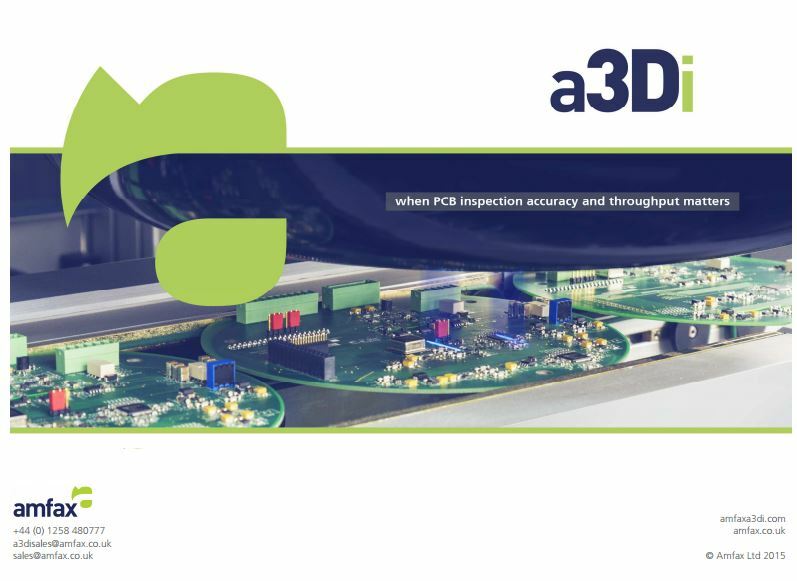 a3Di provides software tools for fast programming of your inspection requirements along with extensive diagnostic and debug software when a fault has been identified. Identify trends and compare measured results against set limits to identify potential risks in your manufacturing process. 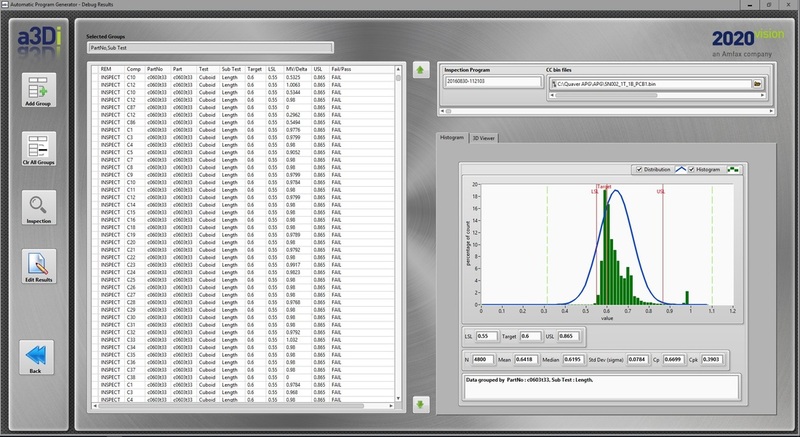 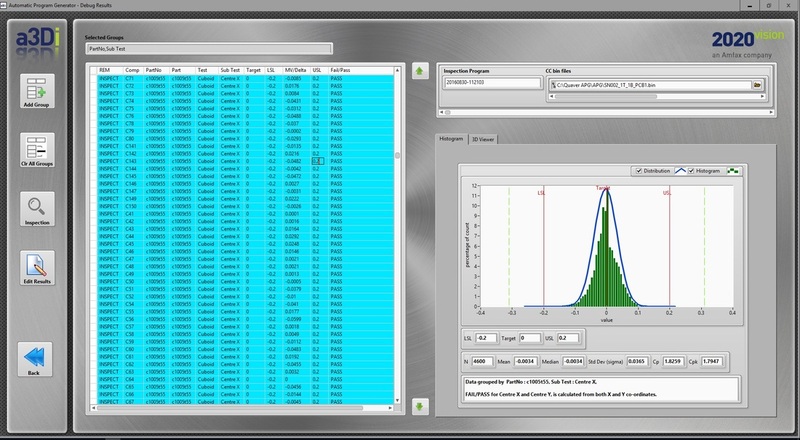 Full Histogram and SPC analysis tools such as Cp and Cpk help identify top potential failures for each board type.